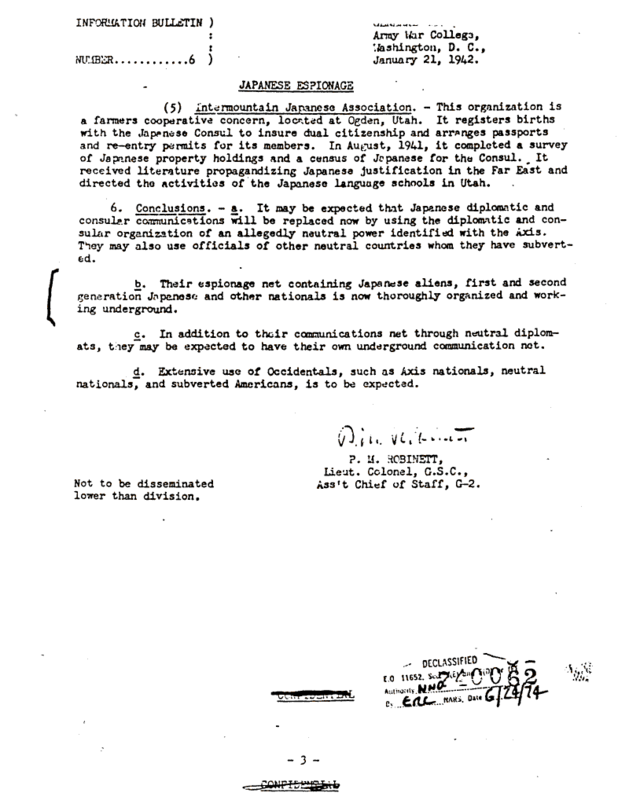 Document Notes: Page 3, "Japanese Espionage," from Information Bulletin 6, Army General Staff. Intelligence review requested before exclusion order. Bibliographic Info: Information Bulletin #6.